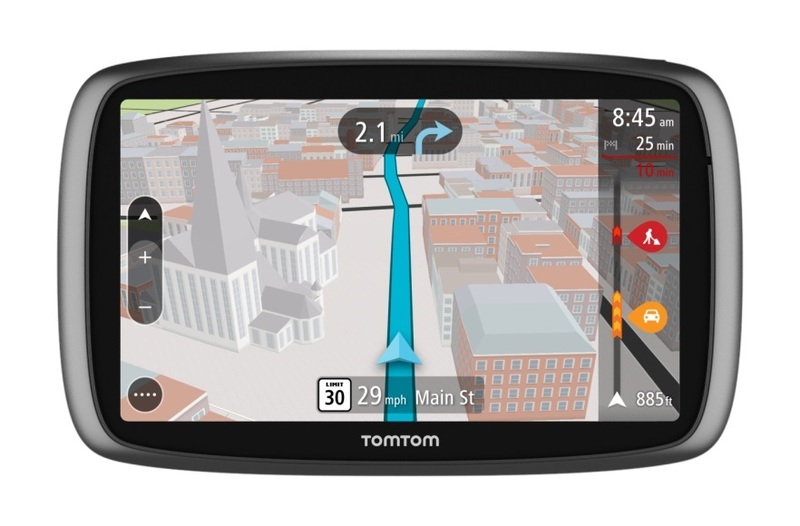 Motorcycle GPS based navigation devices are getting better with each passing day. The reason being that their users are pretty tech savvy and keep giving inputs at the retail level which are passed on to manufacturers. For the convenience of our readers we have listed out the features being offered in each of them and given our expert analysis, so that you can take an unbiased decision with regard to the device you want to choose. 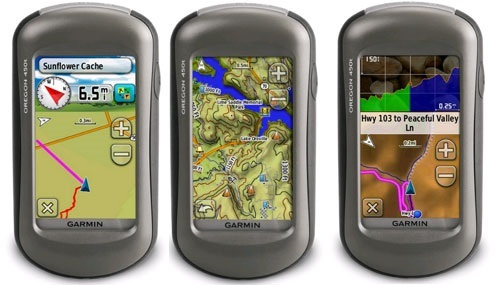 Any user of this product would define it as the premium motorcycle GPS for biking enthusiasts. 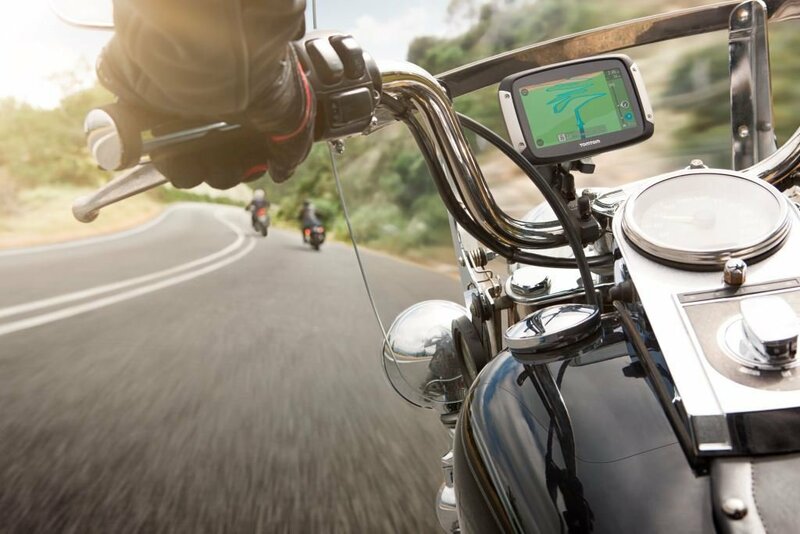 Loaded with hundreds of features, these motorcycle GPS systems even give GPS devices made for four wheelers a run for their money. With preloaded street maps coupled with nuMaps guarantee for accuracy and lifetime map updates. Moreover this device comes with a built –in internal solid state memory and the device accepts data cards. MicroSD Cards can be easily synced with these devices. And one can add upto 1000 points of interest in this device for better travel planning. 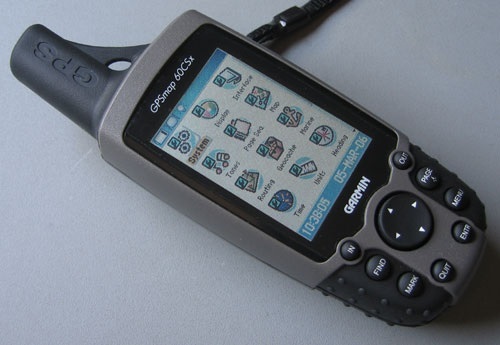 The best part about this device is the glove-friendly, trans-flective meaning sunlight readable touchscreen that has a rugged design in order to withstand any kind of weather conditions. It has a dual orientation so it can be read in both landscape and portrait mode. 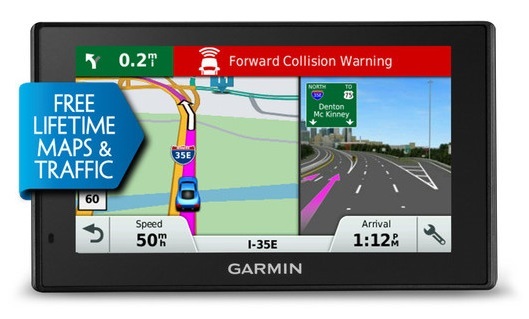 Garmin adventurous routing: Get alerts at every significant instant! Get lane departure alerts, forward collision alerts and it can easily find hilly or curvy roads with the sensors embedded in it and even alerts drivers if they exceed the speed limit on highways. 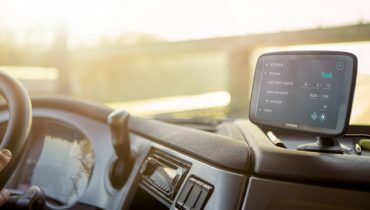 If the vehicle is in motion for a very long period of time, it has a fatigue detection system prompting drivers to take breaks. Hands free calling and music now at your command! Gone are the days when you had to stop your bike to take a call and then restart your journey. 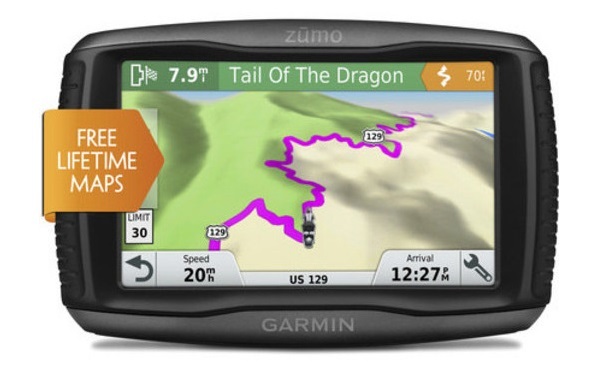 Though, it is still recommended in the interest of passenger safety, but this device offers Bluetooth for hands-free calling and smartphone notification straight on your Garmin Zumo 595LM screen. You can even control music from your mp3 player or smartphone or mp3 player and stream Pandora and spotify music services. 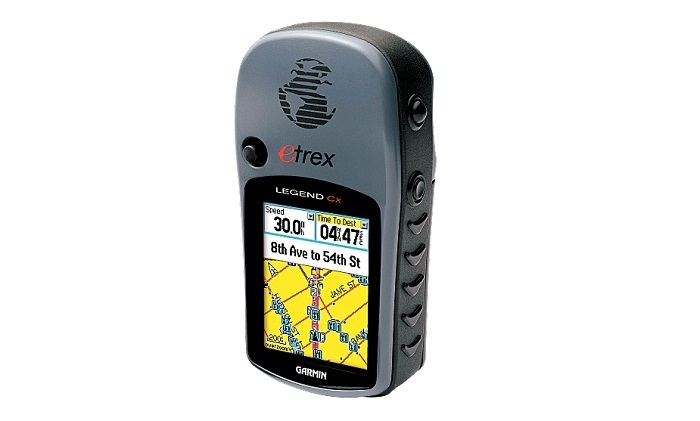 Since the device has the ability to actually speak the name of the street that you are planning to enter and how long you have to travel in that street in order to reach your correct destination. Loaded with power packed features, this is another edition of the premium motorcycle GPS system that is a boon for riders. And the best part is that these products are getting better every day with each passing day based on the feedback received from tech savvy users. With a bright, crisp colour display it reduces glare and the screen indications can be read clearly even when the sun is overhead and sunlight is falling directly on the screen. Yes, this is the most important feature that will help you avoid dangerous hair pin bends, curves, animal crossings, school zones and similar such accident prone areas. So, it basically ensures that your safety is never compromised anyway. Yes, this is an important functionality that has been added in order to help bike riders plan their journey by picking the shortest route defined by the GPS. They can view upcoming points of interest and you can save upto 1000 such points of interest; such is the high memory capacity of this device. It saves trip logs, helping you take the same route you took last time. Flat tyres are a thing of the past as sophisticated technology in the form of tire pressure monitor sensors can transmit tyre pressure data through wireless technology straight on to the display of your Garmin Zumo 395LM screen. These sensors are attached to the stems of the wheel and are a real marvel in terms of micro-computing and embedded systems design. What users can expect is “spoken turn by turn” instructions by guiding users with the help of recognizable landmarks. Even complex locations like malls, multiplexes and airports are defined down to the last step in this device. So if you are looking for a watch showroom on level 3, this device will give you all the information you need. With foursquare access and the ability to share your location co-ordinates with your friends, you can always get help and you will even get information about thousands of interesting outlets. So if you are out there to buy a book, you will even get to know where some really refreshing coffee is available. Since we have given a tabulated comparison of the specifications of each device, you have the most precise, up-to-date and exhaustive information at your disposal to make the right decision.